Donna Amato was born in Pittsburgh, and received her earliest musical training there. 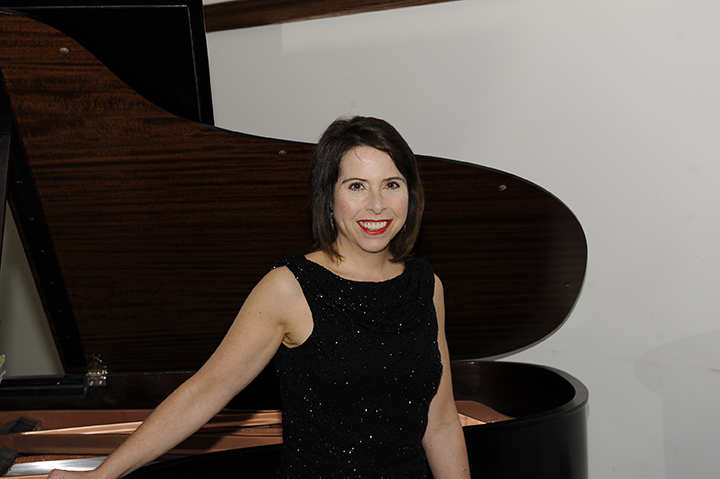 Since her début with orchestra at the age of fourteen and her early studies with the great American virtuoso Ozan Marsh, she has received many honors and awards, notably from the National Federation of Music Clubs, the Chautauqua Institute, New York, and the Pianists' Foundation of America. In 1983, after graduating from college with an Honors degree in music, she immediately traveled to Europe to immerse herself in the European piano tradition, studying with Louis Kentner in London and Gaby Casadesus in Paris; the award of a scholarship to Guido Agosti's prestigious masterclass series in Siena, Italy resulted in the award of the series' highest honor, the discretionary Diploma d'Onore. Her studies in Mexico with Angelica Morales von Sauer resulted in several return concert engagements there. Her concert and recording career flourished over the following ten years, with appearances in Great Britain, France, Italy, Germany, Spain, Austria, Norway, Mexico, Canada, and the United States, and Radio broadcasts on the BBC as well as the inaugural live broadcast on Classic FM. Rapidly earning a reputation for an innovative approach to program planning, her concerts have always received public and critical acclaim. Her first appearance at the Wigmore Hall, London in 1988 was universally praised, as was her New York début the following year. She has worked closely with many contemporary composers and has given world première performances of a wide range of music. Her concerto appearances with leading British orchestras have included the Mozart Concerto KV 488 with the Philharmonia Orchestra at the Royal Festival Hall, London, the Tchaikovsky Concerto No.1 at the Barbican and Royal Festival Hall, and the Grieg Concerto at the Royal Festival Hall and the Royal Concert Hall, Glasgow. Other performances have included her appearance as a guest artist at Sir Charles Groves' 75th Birthday Gala with the English Sinfonia in London; she also gave a memorable account of the rarely heard Franz Xavier Mozart Second Concerto with the Victoria Symphony Orchestra, British Columbia. She appeared in the Sewickley Bachfest in 1999 and 2000, in solo recital and in collaboration with French Hornist, William Caballero. Both concerts were enthusiastically received by capacity audiences and praised by the critics. She performed works of Giacinto Scelsi in Rome at the invitation of the Scelsi Foundation, and toured with Pittsburgh's River City Brass Band in a series of performances of the Jazz Concerto by Dana Suesse. Other recent performances with orchestra have included the Scriabin Piano Concerto, the 2nd Piano Concerto of Edward MacDowell, and the Saint-Saëns Piano Concerto No. 4, Leonardo Balada's Concerto for Piano, Winds and Percussion, and the world première of Sorabji's 5th Piano Concerto. 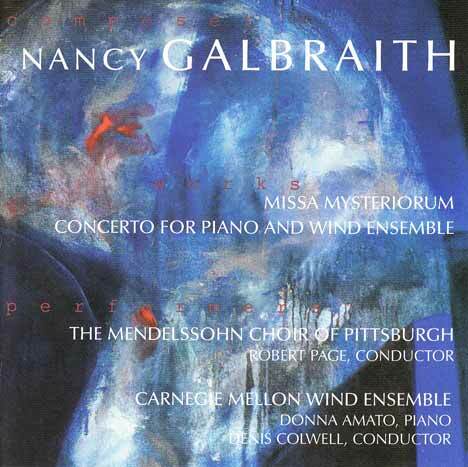 In 2005 she performed Michael Daugherty's extravagant virtuosic showpiece "Le tombeau de Liberace" in Arizona, and Messiaen's "Couleurs de la cité célèste" with the Carnegie Mellon University Wind Ensemble, conducted by George Vosburgh and, last year, the 4th Piano Concerto 'Aurora Borealis' by Geirr Tveitt (which can be seen in its entirety on YouTube). A number of leading composers have written works especially for her, which she has performed, broadcast and recorded. In 1994 she was invited to visit Russia and the Independent States, where her concert tour and radio and television appearances were an outstanding success. 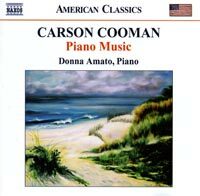 Donna Amato is among the very few pianists who have so far undertaken performances and recordings of the highly demanding and virtuosic music of Kaikhosru Sorabji. She has made performing editions of his Passeggiata Arlecchinesca and Toccatinetta sopra C.G.F., and produced corrected editions of Fantaisie espagnole and Valse-fantaisie, all of which she has also performed in concert. She has also acted as consulting editor on other works, and gave world premières of two of his compositions in the Vienna Festival in 1993. In 1992 she presented a lecture-recital in Montréal, Canada, on Sorabji's life and music. Her world première performance of Sorabji's 5th Symphony for Solo Piano in New York was a resounding success, attracting much favourable public and critical attention. 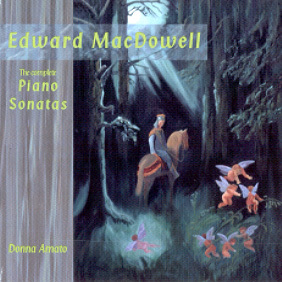 An artist with a busy recording schedule, her recordings include the two concertos of MacDowell with the London Philharmonic Orchestra on the Alto label, the sonatas of Dutilleux and Balakirev, a recital disc entitled 'A Piano Portrait', a Scriabin disc, two collections of works by Sorabji, a disc of music by Ethelbert and Arthur Nevin, MacDowell's complete piano sonatas, Nancy Galbraith's Piano Concerto No. 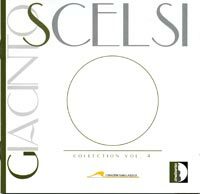 2, and a disc of the early piano works of Scelsi. 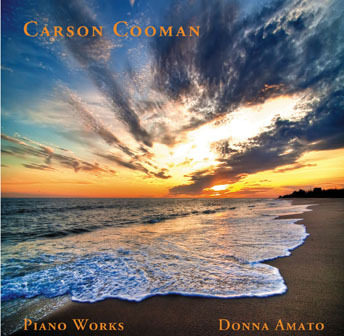 Recent releases include piano music of Carson Cooman (Naxos), Arnold Rosner (Albany), and Thomas L. Read (Zimbel) and most recently, a second volume of Cooman's piano works (Altarus). 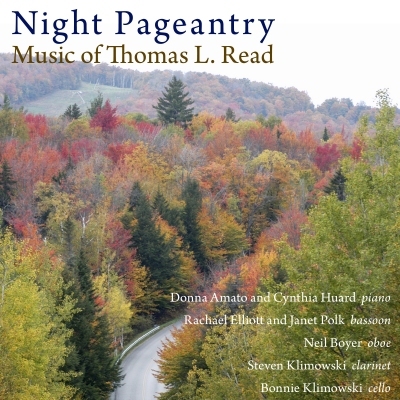 Donna Amato currently teaches piano at the University of Pittsburgh and Carnegie Mellon University, and works at Carnegie Mellon as an Assisting Artist. 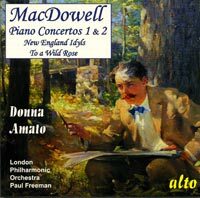 In March, 2003, Donna Amato gave the world première performance of Sorabji's published piano concerto, now regarded as his 5th (it was published in the 1920s as "Concerto II"). The concert, which also featured works written around the same time by Busoni and Grainger, was given in Vredenburg Music Center, Utrecht as part of a series of events "Around Kaikhosru Sorabji" organised by Netherlands Public Radio, which broadcast the concert. The orchestra was the Netherlands Radio Symphony Orchestra, conducted by Ed Spanjaard. Symphonia brevis (Symphony No. 5 for solo piano). St. Bertrand de Comminges "He was laughing in the tower"
2 Sutras sul nome dell'amico "Alexis"
Piano Sonata No.1 "Sonata Tragica"
Piano Sonata No.2 "Sonata Eroica"
For Gwyneth / Dream Etudes, Book II / Postcard Partita / Fourth Piano Sonata. GIACINTO SCELSI (1905-1988): 12 Preludi / Variazioni e Fuga / Capriccio / 4 Poemi / Rotativa. Adam and Eve, Op. 4 / And He Sent Forth a Dove, Op. 49 / Wedding March, Op. 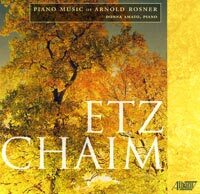 53 / Etz Chaim, Op. 99.